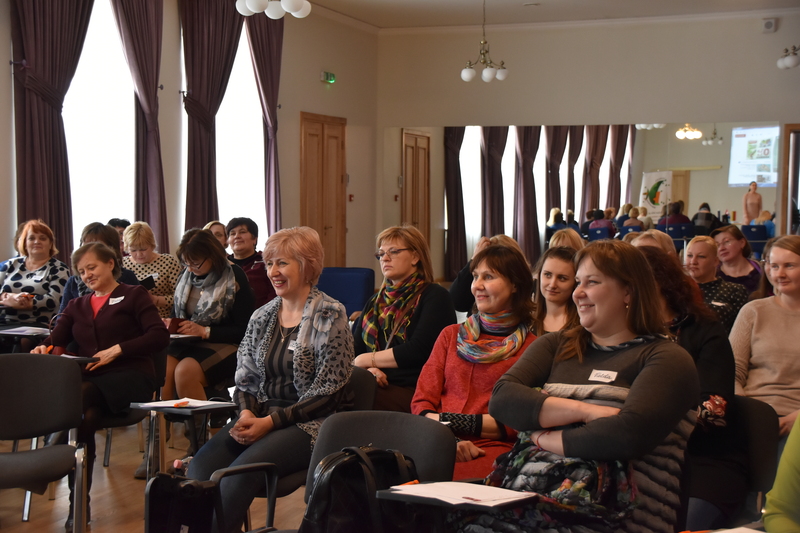 On the 28th of March project “OPEN UP” librarians took part in the seminar “How to behave in critical situations”. One can say: “I don’t see the reason why librarians should learn all the time. They must know authors of different books and the shelf where the book can be found“. But it is not correct. Once I spent almost an entire working day in the Children’s department of Ludza Town Library (it is a small town in the eastern part of Latvia). I was working with my laptop, but unintentionally I heard questions that visitors addressed librarians to. And the questions were not similar to “I’m trying to find the copyright date of the Bible, can you help me?“, “Do you have any books with photographs of Dinosaurs?” or “I don’t remember the title, but the cover was red“. Yes, there were questions about books and literature, but I was very surprised to hear: “Could you help me to print out photos from the phone?“, “How can I convert Word to PDF?“, “How can I pay the bills?“, “I can’t find information about taxes” or even “How can I submit a complaint to the European Court?“. It seemed to me that I was in a global information centre with super employees who knew everything. And even if they did not know, they would find out. Those “live encyclopaedias” were so welcoming and cooperative! Nowadays libraries resemble multimedia and computerised information centres, where there is everything, including smart and qualified specialists. These employees are ordinary people who must be prepared to any situation, because visitors are different – they come with questions, but they can also provoke a conflict. 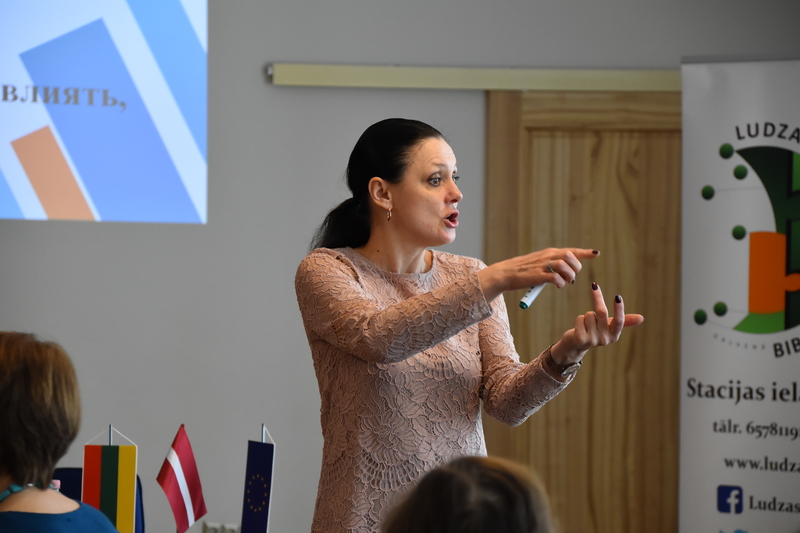 Permanent work with people create additional stress and tension, that is why representatives of this profession need not only informative seminars about changes in laws and new software, but also such trainings as, for instance, “How to behave in critical situations”. 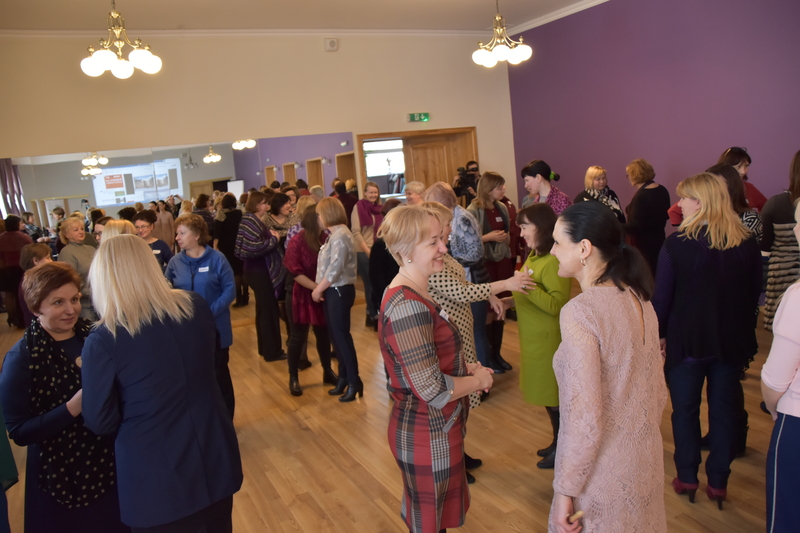 On the 28th of March, 2019 in Ludza (Latvia) 55 specialists of Ludza, Jēkabpils (LV) and Rokiškis (LT) libraries and social services gathered to take part in such a seminar. What do these two occupations have in common? They work with various people groups and provide services. Both librarians and social workers can support people, cheer up, but they can do it only if they possess their own internal sources. The lecturer, the Chairwoman of the Latvian Adult Education Association Board, Mg. psych. 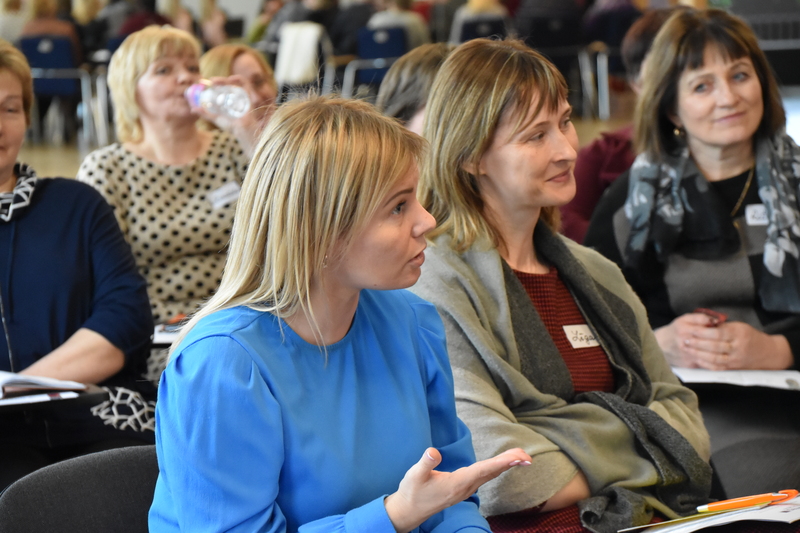 Iluta Krūmiņa helped them to reflect on the ways how librarians can assist children and adults who search for advice in the library. If I say that the seminar was very interesting, I will say nothing. It was extremely interesting – with a lot of discussions, questions, answers, games, laughter, thoughts, team-building activities. Unfortunately it often happens that a librarian or a social worker is almost the only person who gives an ear to a child, who nobody pays attention to. These children do not go to the library to borrow a book, and librarians should be aware of this fact and they must be professional enough to speak with such children and to help them, at the same time remembering that in such a way they spend their energy, patience and sources. 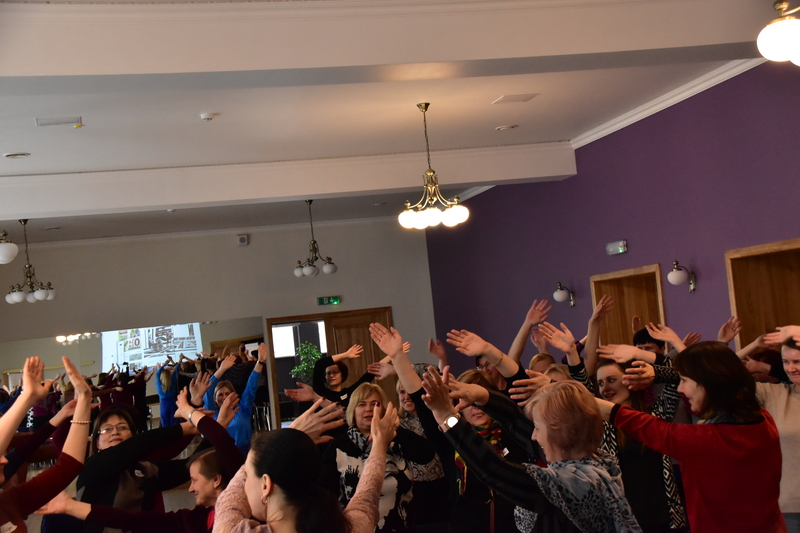 Organisation of the seminar became possible owing to the financing of the European Union that was allocated by the Interreg V-A Latvia-Lithuania Programme 2014-2020 to the project “Interactive educational space – efficient way of social integration of children from disadvantaged families” (OPEN UP), which had been worked out in close cooperation between Ludza Municipality, Jēkabpils City Municipality and Rokiškis District Municipal Library. Total project size is 176,680.75 EUR. Out of them co-funding of European Regional Development Fund is 150,178.64 EUR. This article has been produced with the financial assistance of the European Union. 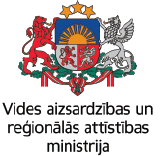 The contents of this article are the sole responsibility of Ludza Municipality and can under no circumstances be regarded as reflecting the position of the European Union.